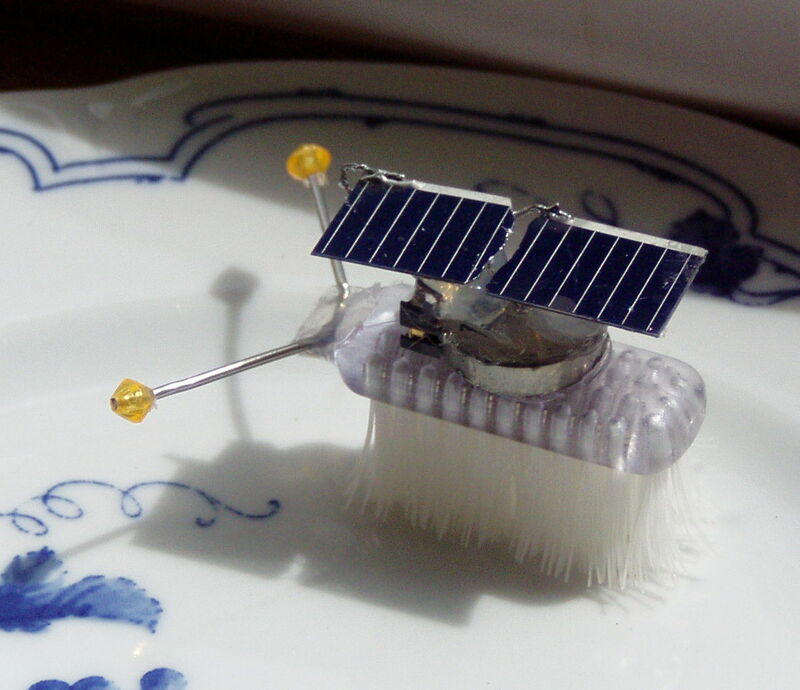 Kartabot, or "brushbot", is extremely simple and cute! 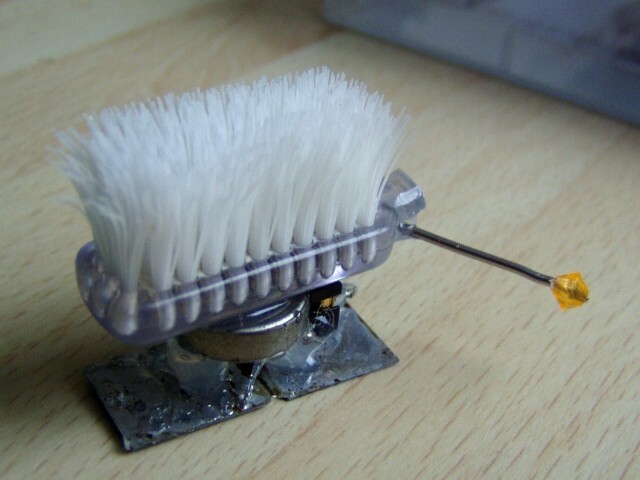 If you have the parts and a spare toothbrush, you can make your own in just a few minutes! Solar cells are very fragile, it's just a thin silicon sheet. To fix that, I've tinned them on the back side. Article published 2009-05-12 by Ondřej Hruška.